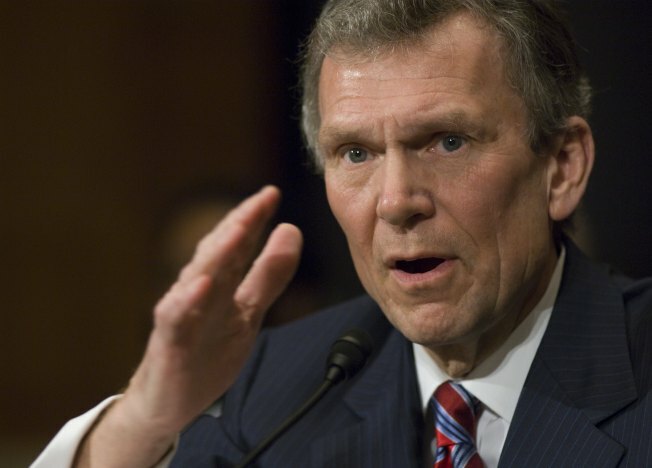 Tom Daschle was one of three Obama nominees felled by tax issues. The White House has dramatically tightened its vetting process following embarrassing revelations of past tax problems by several nominees, according to two officials familiar with the process. The officials said the White House has intensified efforts to study the background of potential nominees - in particular, their tax-payment histories. The result is what one of the officials called a “massively revamped tax vetting” – a “mini-audit,” as another source put it — and a significant delay in the nominations process. One source familiar with the process said that "a string of seismic events" — the withdrawal of would-be Health and Human Services Secretary Tom Daschle and chief performance officer-nominee Nancy Killefer, and the tax problems that bedeviled Treasury Secretary Timothy Geithner — prompted the overhaul. A month into his presidency, Obama has 13 of his 15 Cabinet secretaries confirmed. But after prior nominees withdrew, the president has yet to name new nominees to lead the Commerce Department or Health and Human Services. One of the sources involved in the process said the administration still has more than 1,500 vacancies to fill – a process that will now “take the better part of the year” to complete. The sources declined to discuss specific problems that may or may not have been identified under the new procedures. One said that the new procedures have, in fact, saved the White House from some potential embarrassments – but haven’t turned up any red flags on the individuals being considered for Cabinet posts. A White House spokesman declined to discuss the vetting process. And when the Washington Post reported in early February that White House Counsel Gregory Craig was assuming control of the vetting process, White House press secretary Robert Gibbs said he was unaware of any changes being made to the process itself. But sources say that a group of officials is now reviewing each nominee's income tax records. Anything that looks the least bit unusual is flagged for further explanation and deeper vetting, according to the sources. "When they started the vetting process they were simply having the IRS verify that [potential nominees had] never been late on taxes and if they had, what was the extent of it," said the source who’s familiar with the process from the outside. Before the recent change in procedure, the Obama team required nominees to authorize the IRS to share information about their taxes, this source said. With that authorization, the IRS would inform the administration whether the candidate had ever had any outstanding taxes. "Now they're not just relying on that," the source said. "They have a team of people literally going through tax returns. It's not just enough to know you've paid your taxes on time now." The source said the new process is causing delays as questions bounce from the vetters to the potential nominees to the nominees' accountants and back again. "Everything is being double- and triple-checked — there can't be room for error," said one of the sources involved in the process. "We're crossing our Ts and dotting our Is. We're scrutinizing everything . . . [to] make sure it's done right." The source said that the new procedures have "slowed down the process significantly." "We're walking, maybe even crawling," the source said. Before Obama’s inauguration, the vetting process focused first on top-tier nominees before beginning to vet lower-level positions. Now, while the goal is to still to complete top positions first, the White House team is vetting a lot of candidates simultaneously, a source familiar with the process said. The administration is not waiting, for example, to have a Commerce secretary before vetting candidates for assistant secretaries and undersecretaries. Whether the Senate will begin confirming these lower-level positions before their superiors are confirmed will be determined in coming weeks.